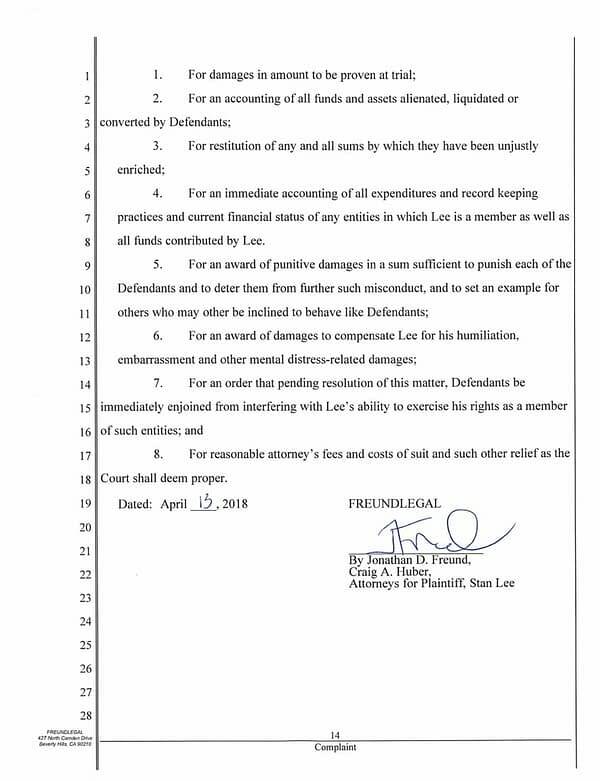 Five days ago, the Hollywood Reporter made a series of claims of elder abuse involving Stan Lee, calling for an intermediary to step in. 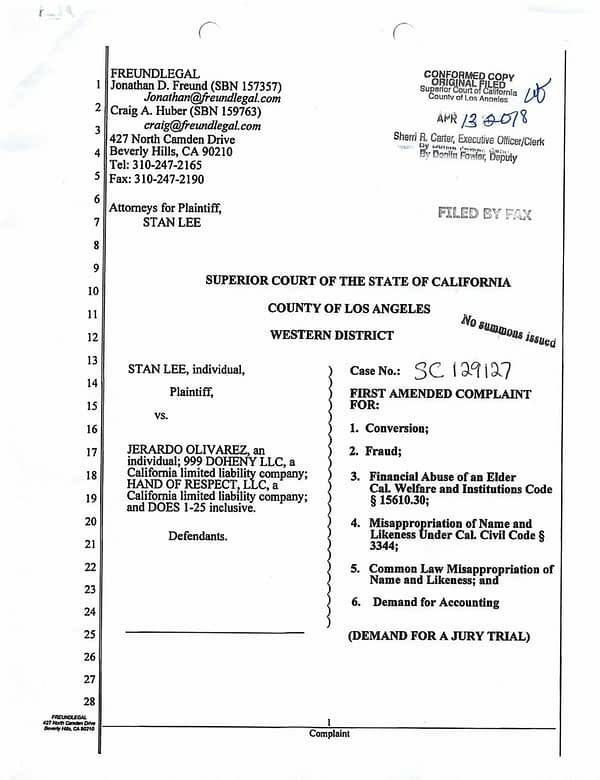 Three days ago, the Warner Bros-owned TMZ reported that Stan Lee was denying any charges of elder abuse being carried out against him, with a sub-head “Stan Lee is mad as hell over reports he was being abused and taken advantage of” along with with an exclusive video copyrighted to Stan’s new representative Keya Morgan supplied to them. This was re-reported in plenty of other places who took TMZ’s line. 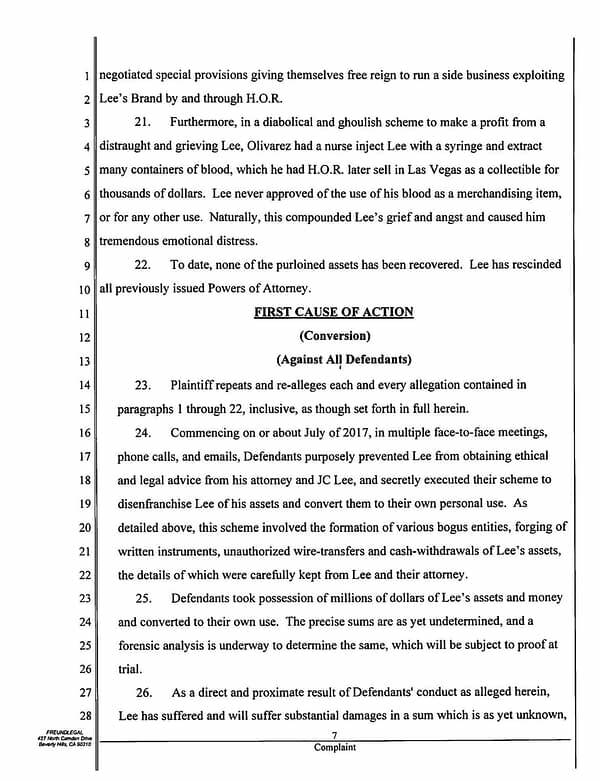 Intriguingly, in their report, TMZ linked to a number of previous reports regarding Stan Lee — but not the one two days previously in which they said Lee would sue anyone who claimed elder abuse of him. 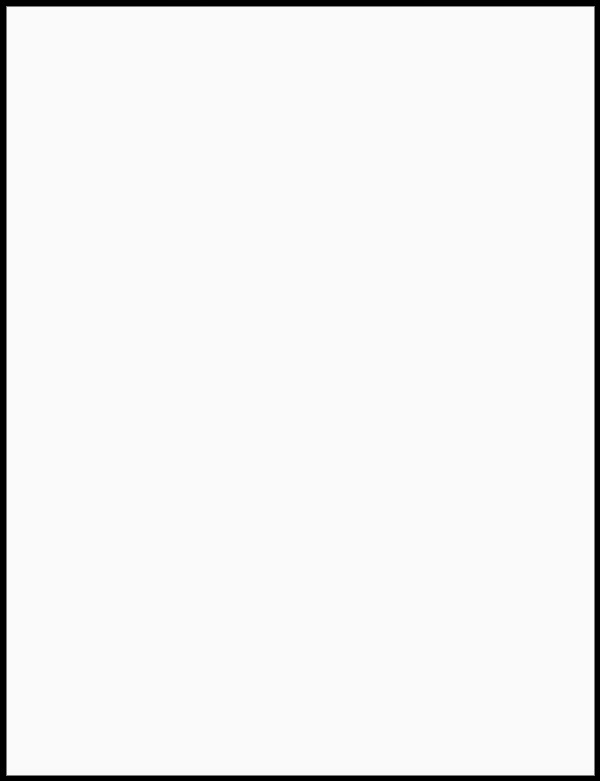 It no longer fitted. 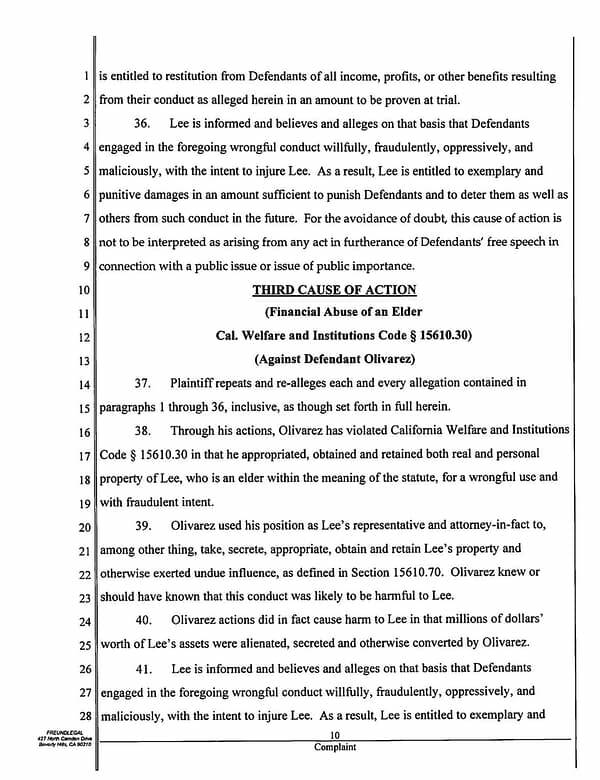 And the first of his legal actions made public has been against Jerold “Jerry” Olivarez alleging elder abuse, the man behind the controversial Hands of Respect company that created the so-called Stan Lee blood comics, with allegations of embezzlement from Lee, which Olivarez denies. 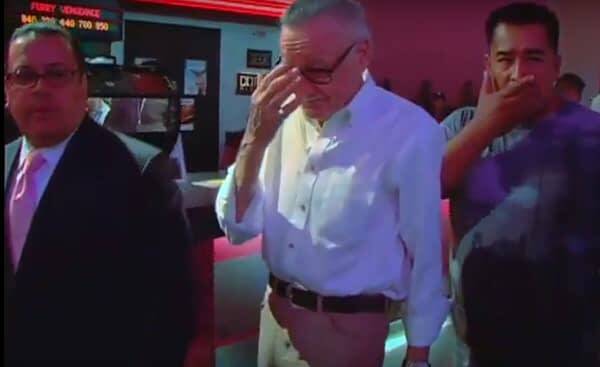 We understand Olivarez first met Stan Lee in 2010 at a red carpet event for Iron Man 2 when working at the Palm Court branch of cinema chain Brenden Theatres. You can see him in the video below, walking with Stan and his then-manager Max Anderson. 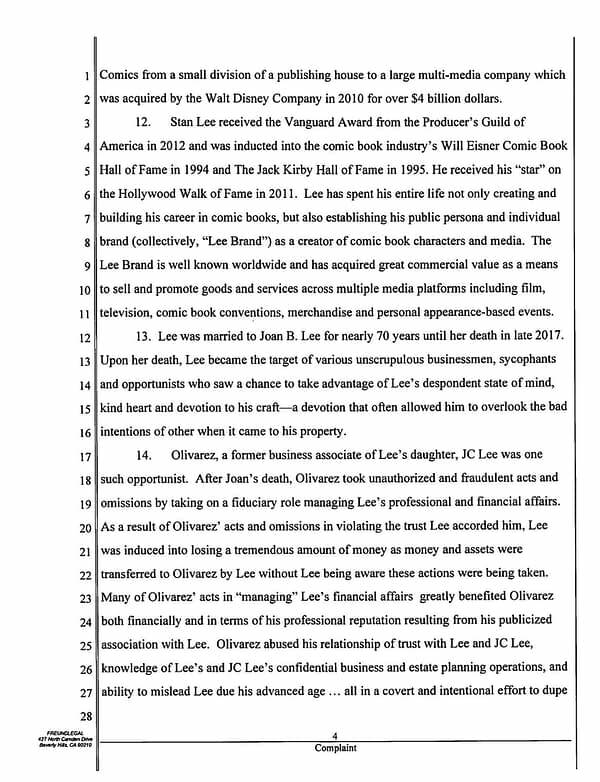 We understand from people close to those involved that Stan initially hired Jerry to work with his daughter JC Lee over a number of her proposed projects, one of which became Hands of Respect, but eventually became involved with Stan’s own business plans. 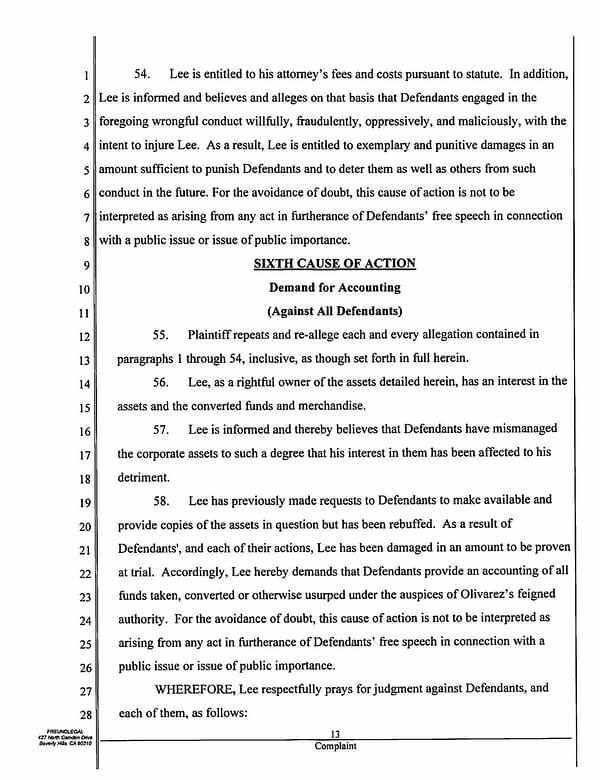 I am also told to expect this to be the first of three such suits — one against the company that Stan founded, POW Entertainment, and one against his manager Max Anderson. 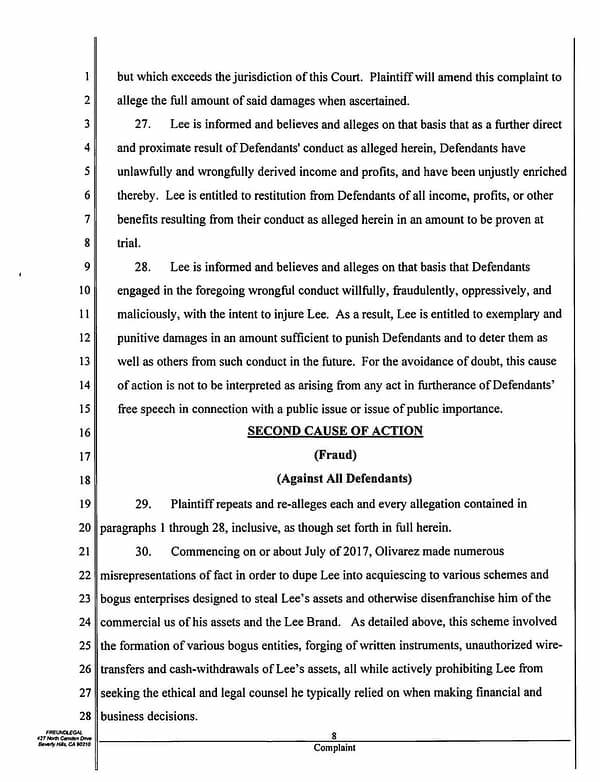 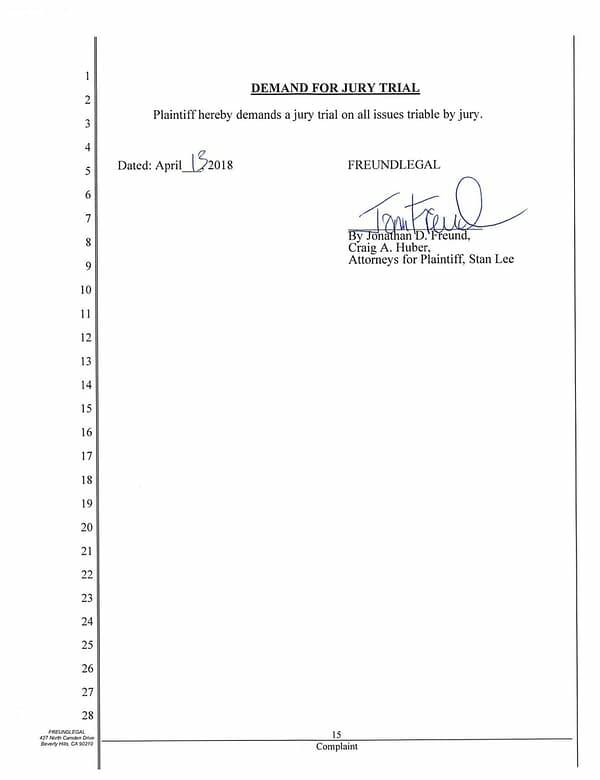 The suit, filed by Stan Lee’s most recent legal counsel at Freundlegal (though it misspells Hands of Respect up top) does mention 25 John Does, suggesting that others may be named during the pursuit of the case. 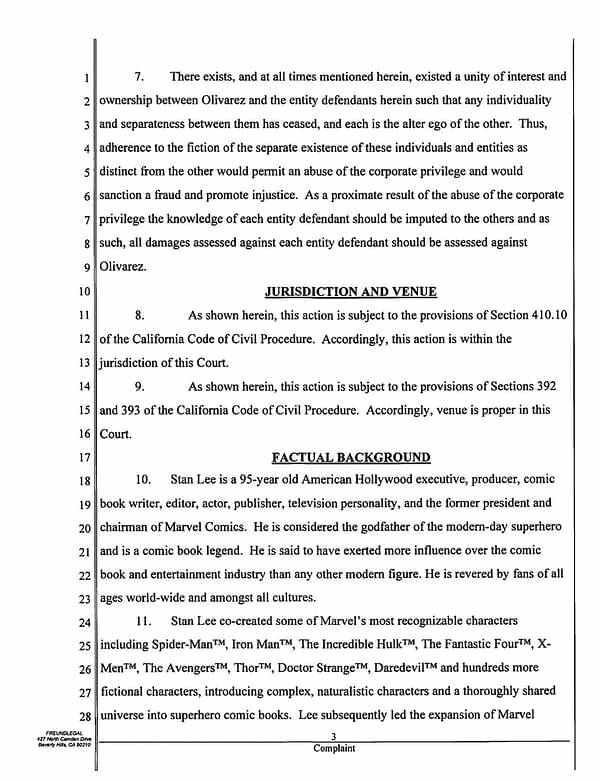 And while Morgan is not mentioned, under Stan Lee’s accomplishments it mentions Lee’s star on the Hollywood Walk of Fame from 2011, which is where we understand Morgan was first introduced to Lee at the party afterwards by mutual friend-at-the-time Alan Duke. Morgan had brought Buzz Aldrin to the event. 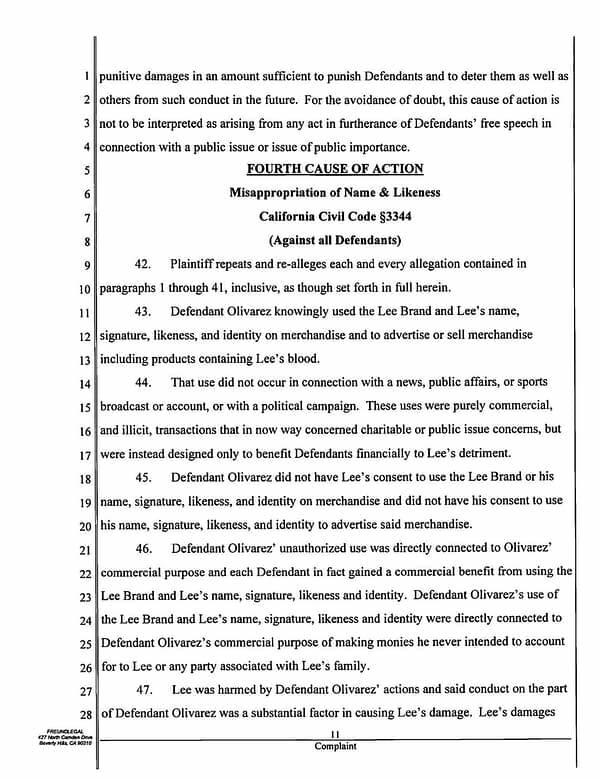 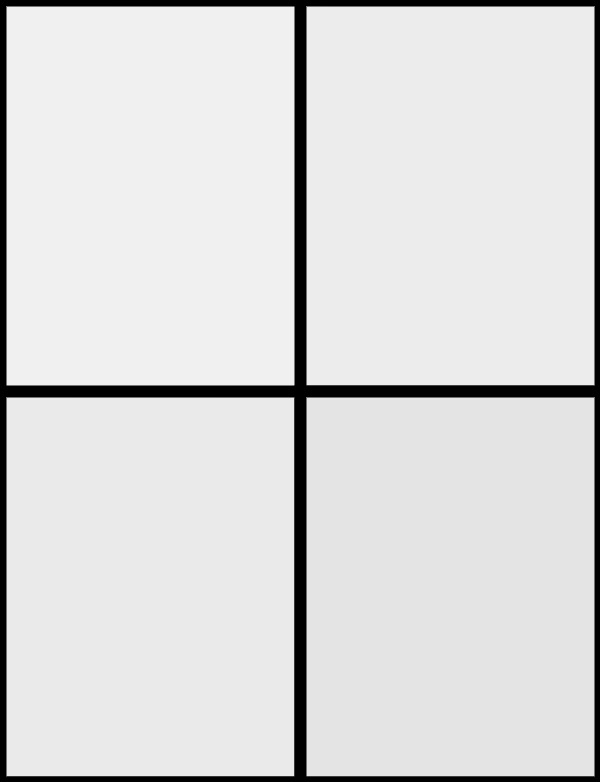 The full suit can be read below. 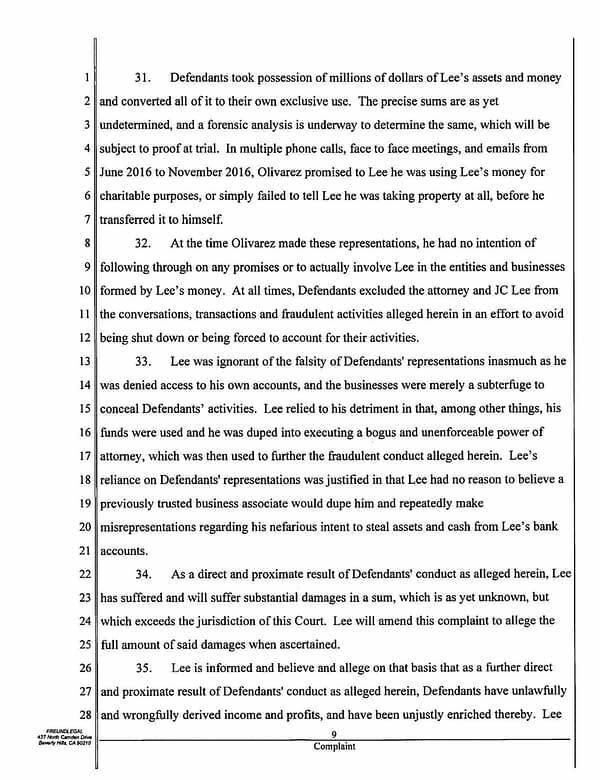 Olivarez has not returned messages sent to him by Bleeding Cool at any point, though he has strenuously denied such allegations to others, including the Hollywood Reporter.